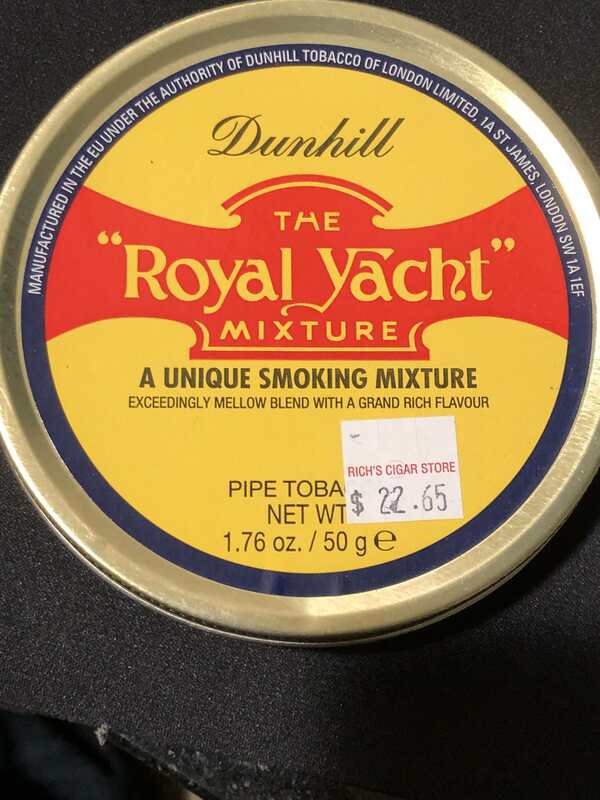 Rich's is always expensive on just about everything, but especially Dunhill now that it's out of production. I’m trying to get three tins of all the Dunhill blends. Luckily enough I only purchased the one tin of RY there and found two more online. It’s a lovely shop, but in the four years I’ve been living in Portland I’ve only been in there half a dozen times. Understand that I’ve walked past it 100 times. There’s always something wrong. On the two occasions I was served by bill he was rude to me. Funny that a store in such a prime location, on Saturday at one in the afternoon, would be ripping off the only customer in the whole place. Anyway, please check out my list and let me know what I’m missing. BB1938 is pretty good stuff(I like it anyway) and is still available online for fairly cheap. Still on the expensive side, but might be worth it if you can't find it elsewhere.